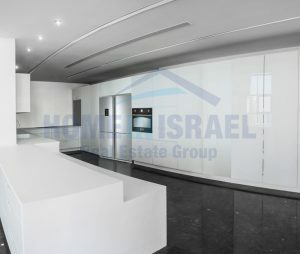 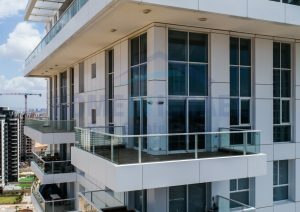 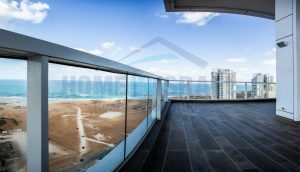 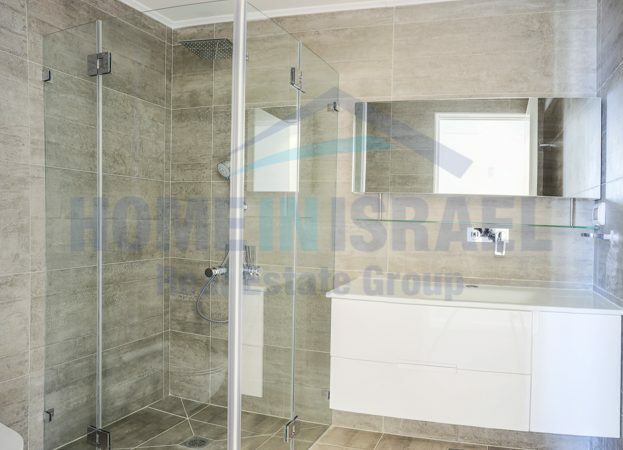 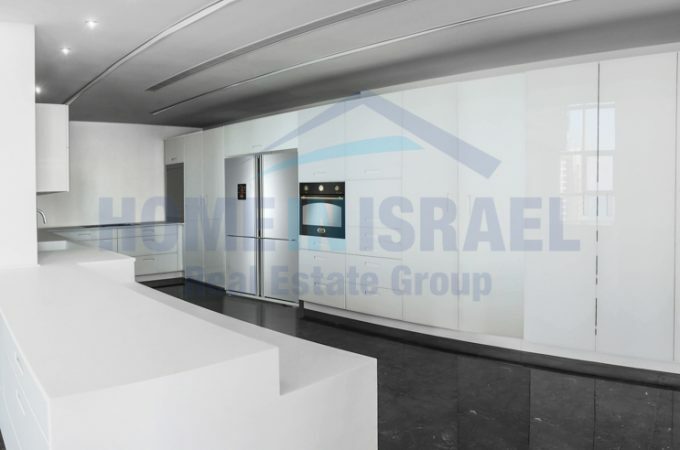 The most beautiful duplex in Ir Yamim for sale in the luxury “Yam” project by Briga. 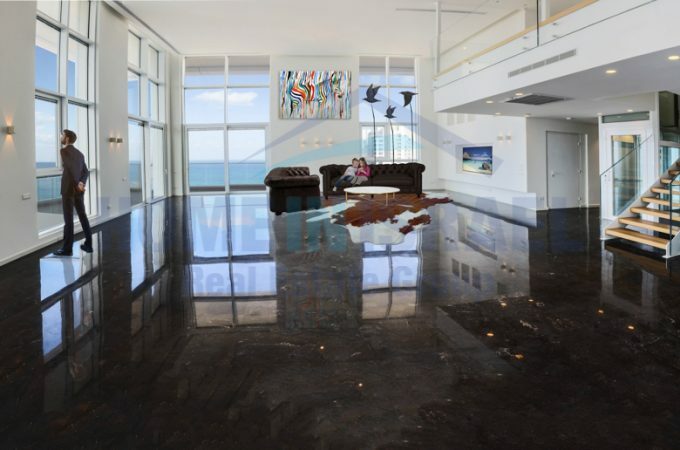 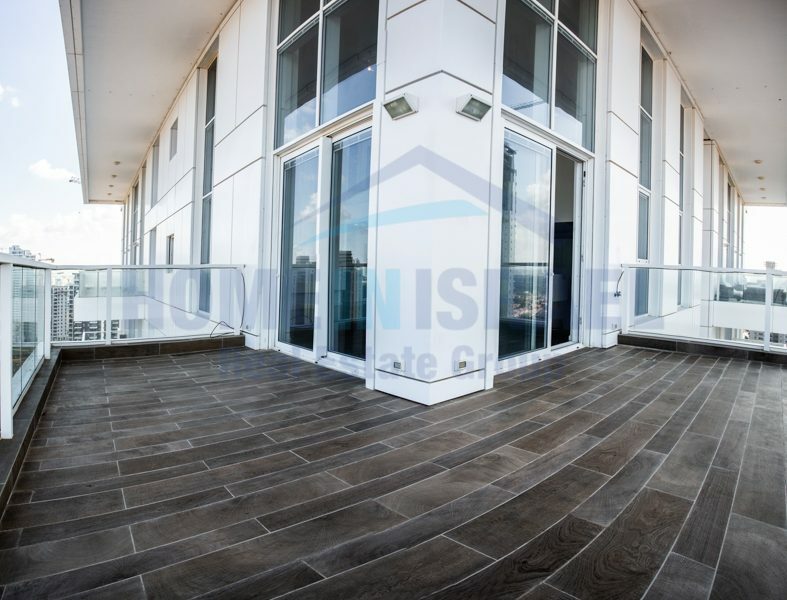 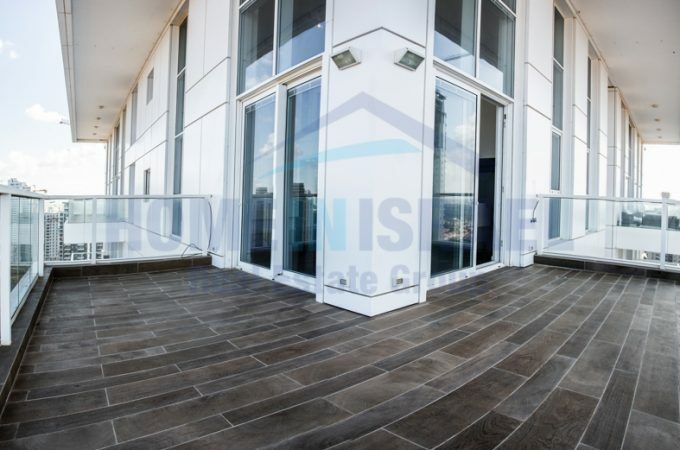 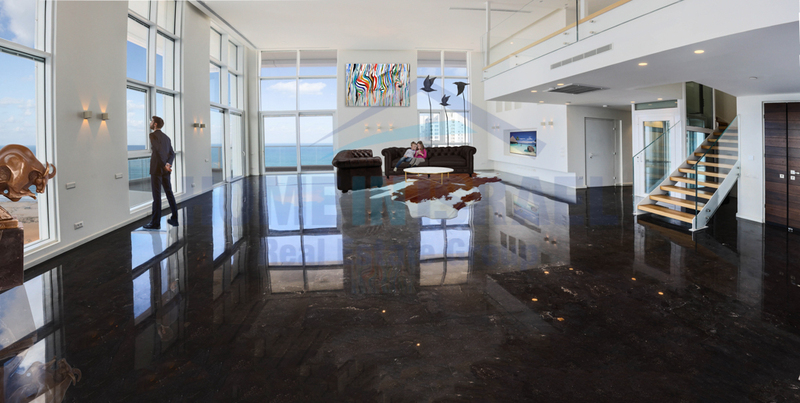 The apartment is 222 sqm plus a large 32m sea facing balcony. 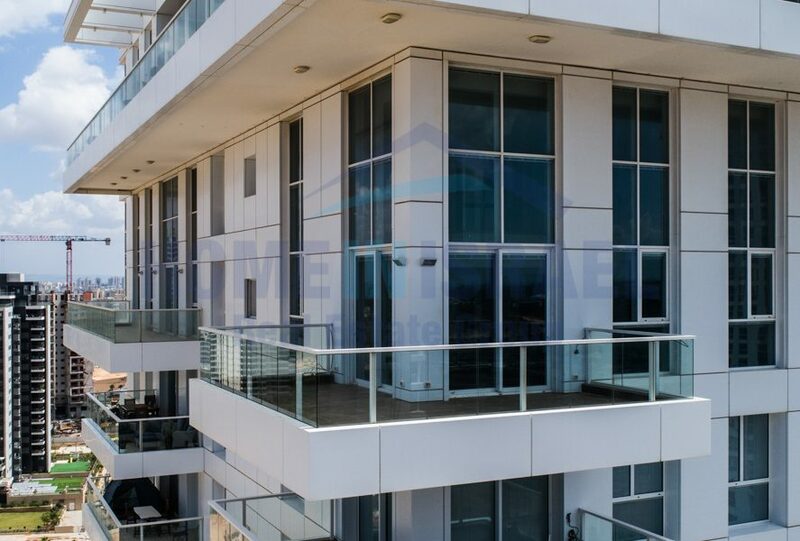 The ground floor has a huge kitchen made from coriane with a separate utility room. 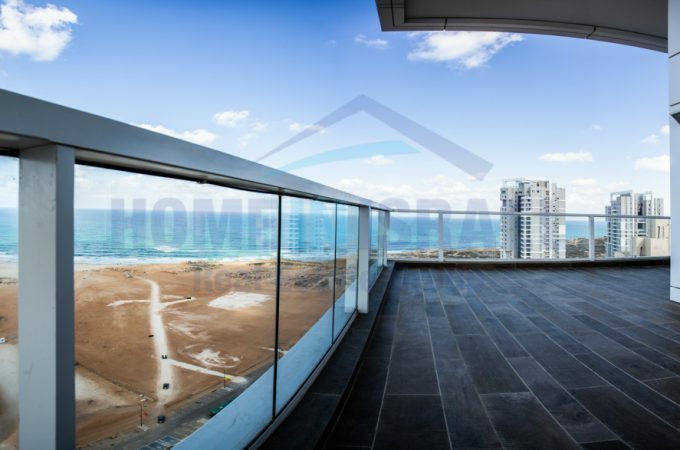 The spacious salon leads onto a corner balcony with views as far as Tel Aviv along the coast. 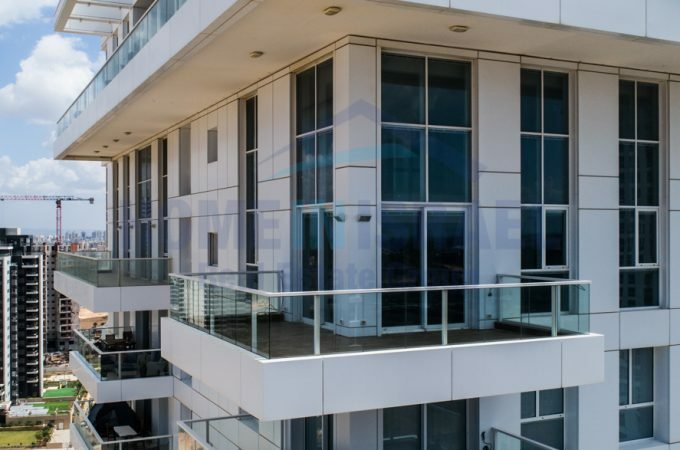 There are 2 bedrooms and 2 extensively fitted out bathrooms on the ground floor with an internal elevator between the 2 floors. 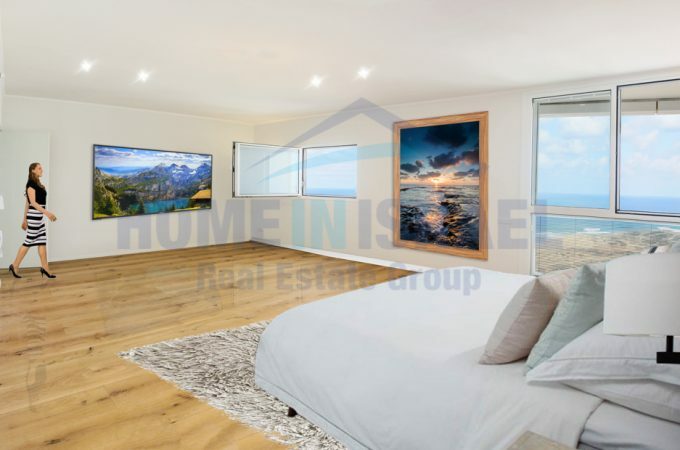 The upper floor has a huge master suite with views to the sea from every window together with a closet area and en-suite bathroom with many extras. 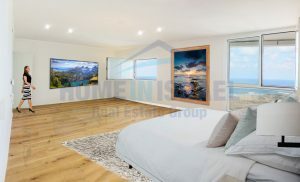 There is another huge master suite on the second floor finished to a high standard. The ceiling height in the lounge is over 6m with floor to ceiling windows with internal electric blinds giving lots of natural light and amazing breeze. 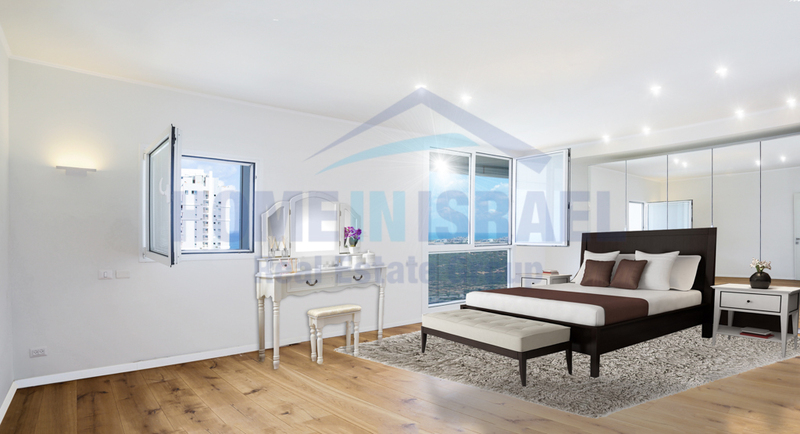 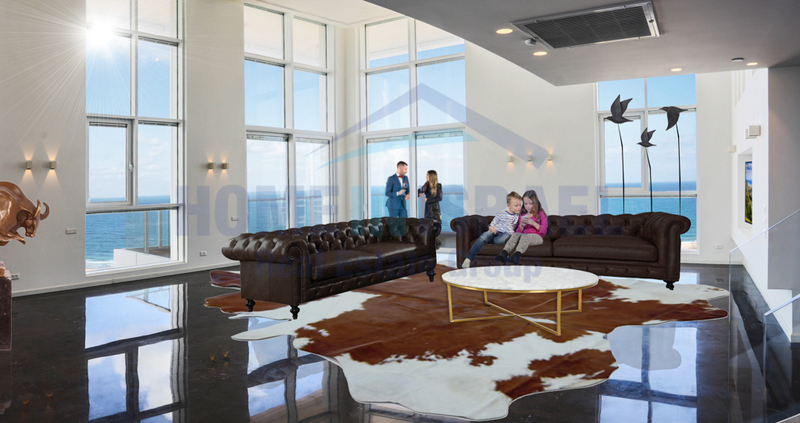 The apartment has been designed by a leading architect and completed to a very high standard with the best quality fittings. 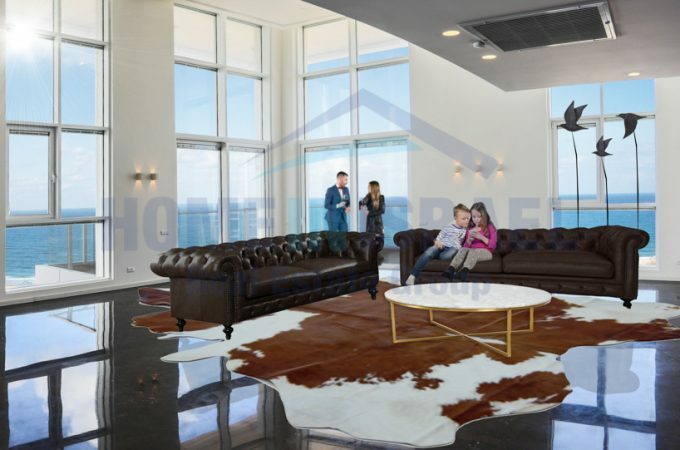 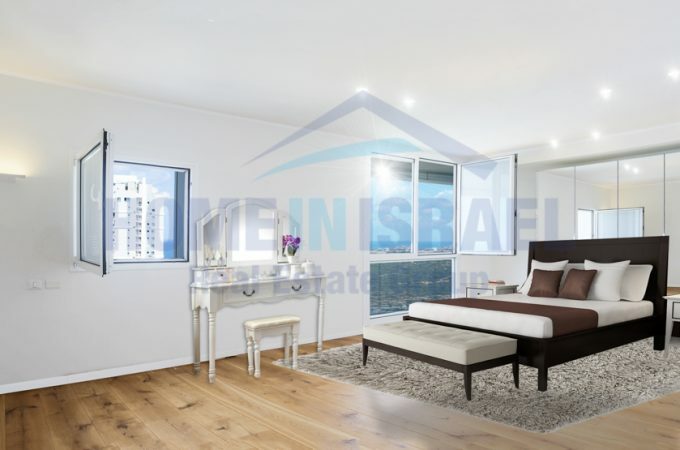 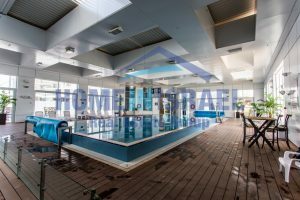 The building has a full time concierge, indoor swimming pool with lifeguard, exercise room, sauna, children’s area, synagogue and tennis court. 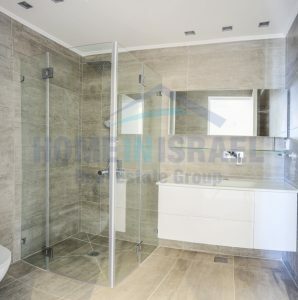 This is like having the facilities of a 5 star hotel. 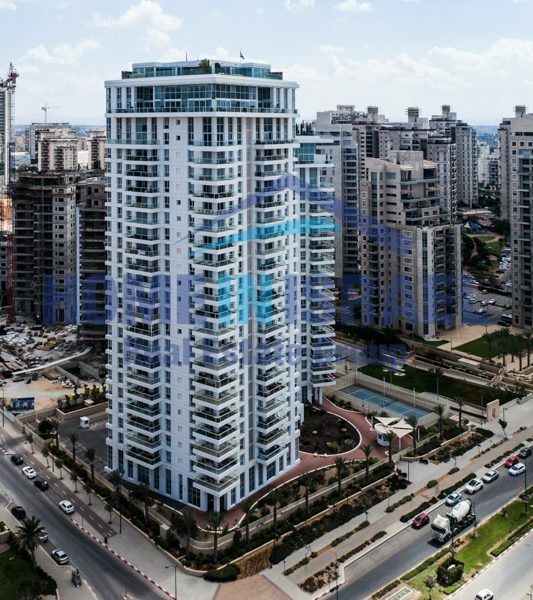 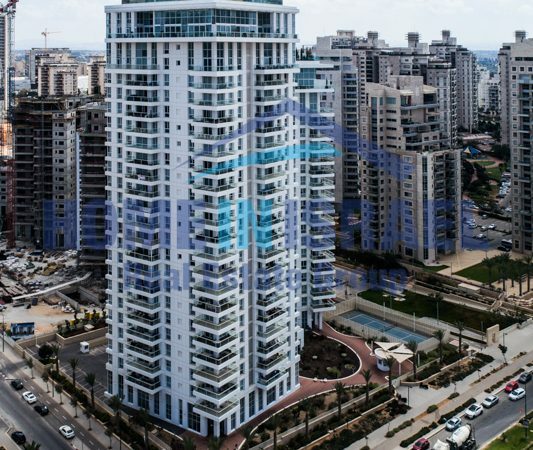 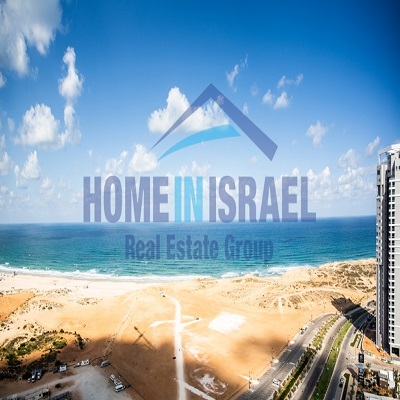 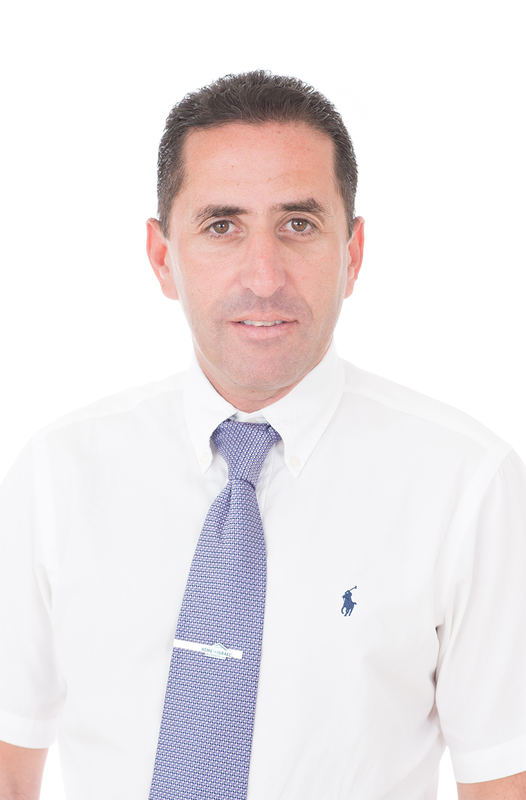 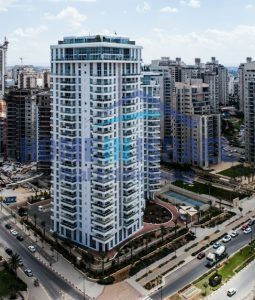 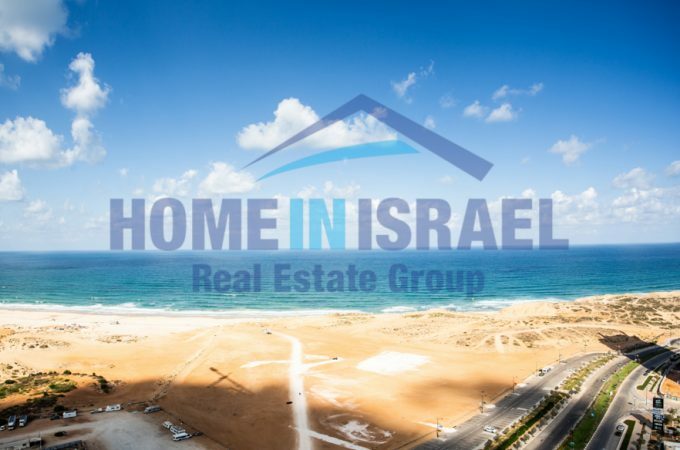 The project is built next to the walking promenade leading from the sea to the Ir Yamim shopping mall with the new Piano restaurant complex under construction with completion in June 2019. Immediate possession is being offered and must be viewed to appreciate the high standard of this unique home.